So I’ve now been on this low carb journey since last June and still loving it. I’ve managed to lose a stone in weight, not sure how as this has been pretty easy. Always on the lookout for low carb options and different recipes that I can adapt to suit our lifestyle. My husband has been incredible on this journey and lost two stone, it’s like living with a new man, lol. I’m pretty amazed on a daily basis at how everything has changed; hair, skin, weight, energy levels. Also discovered that there are a million different ways of cooking cauliflower. Had some great responses to our new way of eating and several of our friends have joined us on the low carb train. Had a few negative remarks too, which always make me laugh. It’s always those that haven’t done any research or read any books on the subject that are the first there telling us we’ve got it all wrong. For us the journey is not all about eating an infinite amount of bacon and eggs, but a healthy balance of low carb vegetables good meats, fish, shellfish and healthy fats and fasting and coffee – couldn’t survive without my coffee. 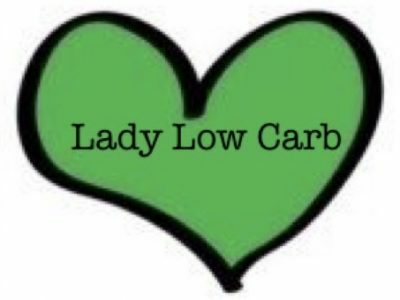 Low carb and loving it. Cut the cauliflower into small florets and place on a greased baking tray sprinkle with olive oil and Garam masala and a little salt. Place in the oven for 15 minutes on approx 180 – turn the cauliflower half way through cooking. In a bowl, add the yoghurt, harissa, pinch of sea salt and mix well. Remove the cauliflower from the oven and place on a plate, sprinkle the dressing over the cauliflower and throw a handful of pomegranate seeds over the top – serve ! *Optional – tablespoon of stevia (I didn’t use it and for me the desert was sweet enough with the raspberries). Place the cream in a pan and warm gently with the vanilla (if your using the Stevia add now). In a separate bowl add the gelatine to a couple of tablespoons of hot water and mix well. Just before the cream begins to boil, take it off the heat and add the dissolved gelatine mix. Stir until combined and the gelatine has disappeared. Pour into 3 small ramekins. Put in the fridge for at least 4 hours or until the mix has set. Put the raspberries and a squeeze of lemon into a bowl and blitz with a handheld blender until smooth. When ready to serve – remove ramekins from fridge and run the sides of the ramekins quickly under hot water – tip upside down onto a plate and top with the raspberry coulis mix – top with mint leaves and enjoy !